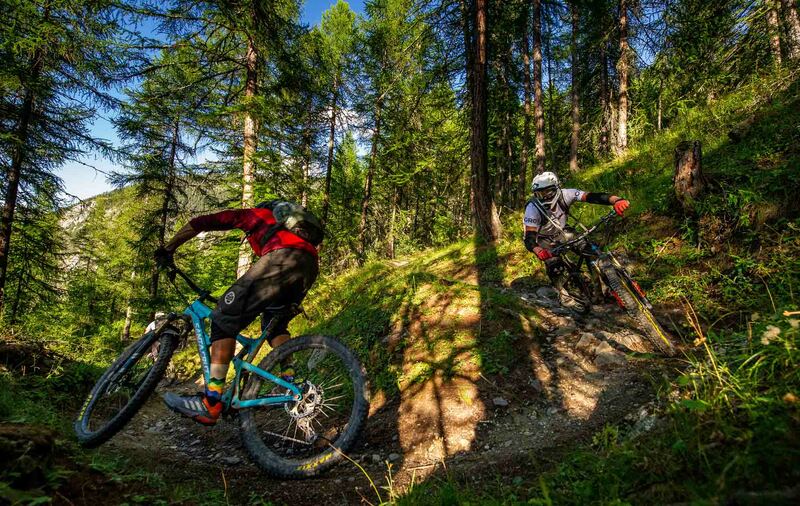 You're just a few steps away from booking the ultimate in mountain bike holidays! Join us this summer in the mtb heaven that is Briancon, Serre Chevalier - a big mountain, singletrack paradise that is home to the best riding in the world. Staying in our luxury chalet in Briancon, just 1.2 hours from Turin airport, our back yard is an undiscovered backcountry playground in the high Alps, with endless, ski lift assisted biking from 1000 to 3500 metres and a dry mediterannean climate unlike anything you may have ridden in the high mountains before. Check out our new promo video below! It's after all this experience and research that we've chosen to base ourselves in Briancon, a stunning, medieval walled city which really is home to the best mtb terrain in the Alps - it's why our guests keep coming back, year after year and claim our biking holidays to be the best, big mountain riding of their lives. We've been operating for over 12 years now, are fully French qualified and still as passionate as always, so if you're looking for the MTB holiday of a lifetime, then look no further. 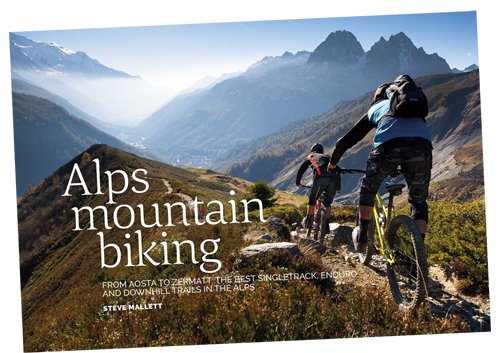 MTB holidays Alps from the author of the guide Alps mountain biking. 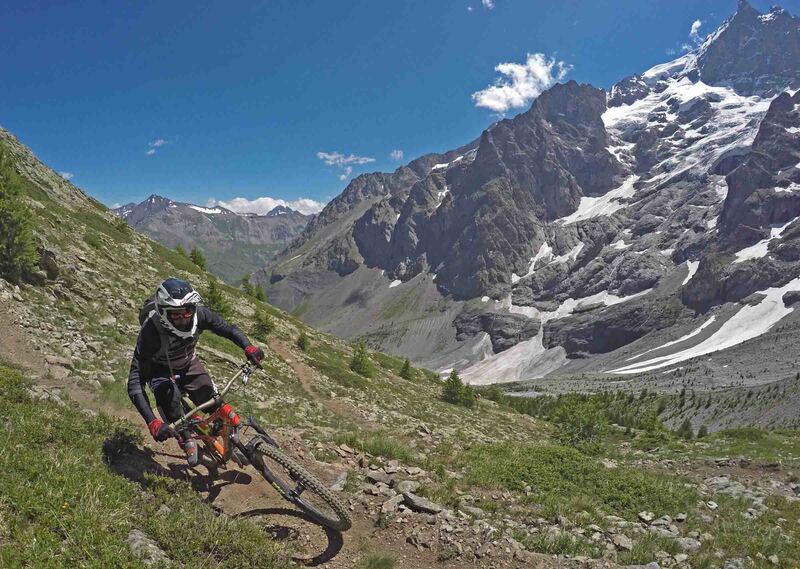 The ultimate and original alpine biking holidays. 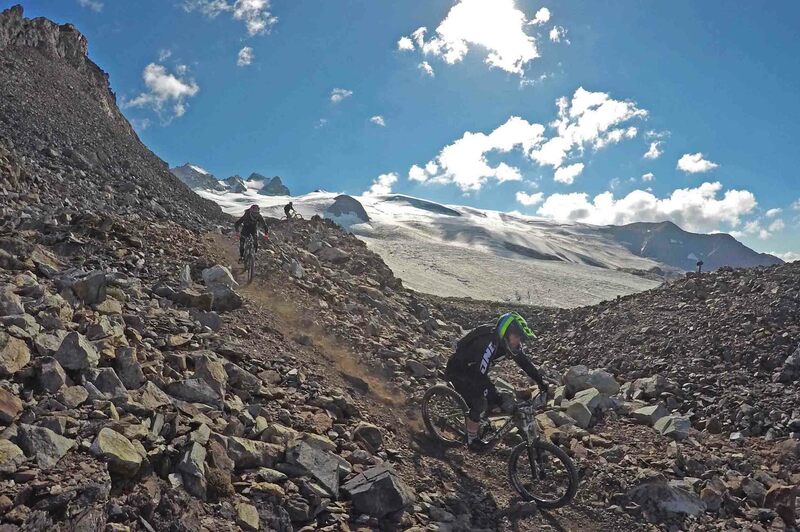 Staying in our luxury chalet in the centre of the beautiful, medieval walled city of Briancon, you'll have access to a truly unique and undiscovered mtb paradise of endless, untouched singletrack in massive terrain surrounded by glaciers, huge peaks and deep canyons. Super fast, flowing singletrack litters the mountain sides around here - smooth, winding dream-like trails that twist and turn like rollercoasters through the mediterannean pines and are bathed in over 300 days of sunshine per year - so you can forget the sloppy and cold conditions of the northern alps you may have ridden before! Rides are ski lift assisted throughout the summer meaning we can ride from 1000 - 3500m and take in epic descents up to 20km in length with minimal pedal time. There's really nowhere else in the Alps that offers this level of variety and back country escapism straight off the lifts. Our riding area is vast too, taking in the resorts of Serre Chevalier, Montgenevre, Sauze D'Oulx, Bardonecchia, La Grave, Valloire, Sestriere, Alpe D'Huez and a whole lot more, including uplift opportunities on the highest cols in the Alps, such as the Galibier, Granon and Izoard, to access the most epic and untouched singletrack you can imagine. It's difficult to describe just how good this place is, but you need to forget what you think you know about Alpine biking - it really is on another level for those huge backcountry trails you dream about, and after riding pretty much everywhere in the Alps during research for our book - 'Alps mountain biking', we simply couldn't believe what was down here, and just how completely undiscovered it still is. In fact we gurantee you won't ever want to ride anywhere else again! To make sure your riding experience is a great one, we keep group sizes small and it will always be myself (Steve) who is guiding you rather than second guides and gap year types. I hold the full French qualification so there are no worries with legalities and safety on the mountain - just great riding, great guiding and small groups to cut the faff factor to a minimum. Back at our luxury chalet in Briancon, things are no less fanatical, and Eleanor will serve up a feast each night to keep you shredding all week long! Our mtb holidays run from June until October. Prices are per person and include accommodation in our chalet, breakfast and evening meals, guiding and any vehicle support we need. A week's stay with us includes 7 nights accommodation and 5 full day's guided riding. There's also the possibility of some shorter rides on your arrival and departure days depending on flight times. Long weekends include up to 4 nights accommodation and as much riding as we can get in depending on your arrival and departure times.